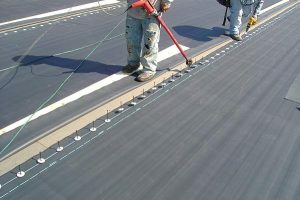 What is meant by EPDM roofing? It is a very durable type of synthetic rubber used for roofing. The full name is Ethylene Propylene Diene Terpolymer and it is one of the least expensive roofing types on the market today, at just .80 for a square foot. It’s also easy to install. Whether you are doing it yourself or hiring a professional, it’s just all around versatility. EPDM offers a combination of ultraviolet, ozone, abrasive and weather-resistance. It works superbly in cold, low temperatures. The combo also acts as a resistance against alkalis, acids and other oxygenated type solvents such as alcohols, ketones, and esters. It’s got a smooth surface, almost like slate, and is designed to cut energy and air-conditioning costs. It is used worldwide. It resists thermal shock, it resists cyclic fatigue and hail damage and it does not become brittle, not shattering in the low temperatures. To achieve its life expectancy, it doesn’t require continual maintenance or extra coatings or treatments either. 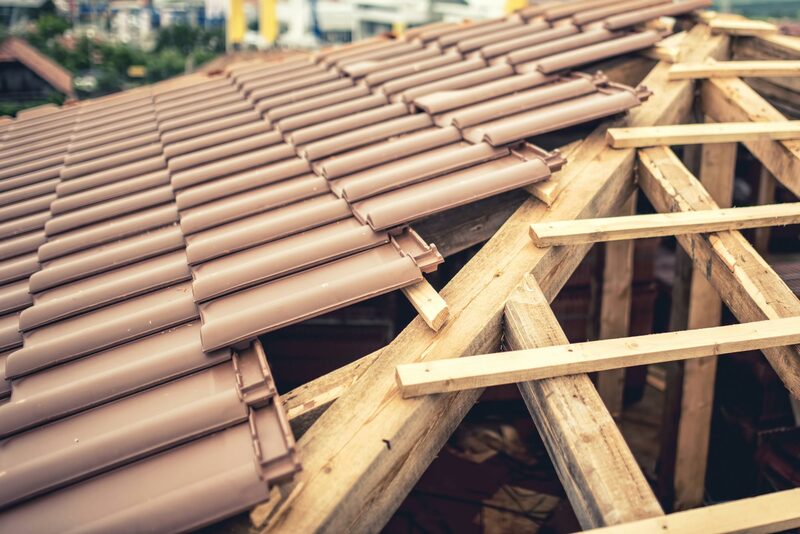 Regular maintenance is required to check for damages, what type of damage was caused and what materials will be needed to repair the roof when necessary. Other roof components will also be checked. In the USA, the EPDM roofing represents around 35% of the roofing arena, and in Europe, China and the Middle East, this type roofing is rising in popularity. 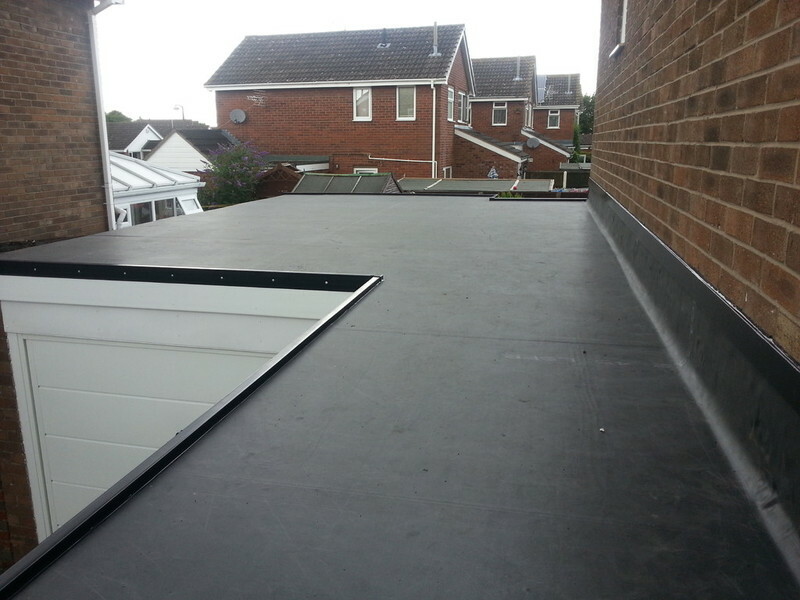 EPDM roofing is easy to repair using roof materials applicable to an EPDM roof. If you are changing your roof design from shingles, for example, to EPDM, you will discover EPDM roofing has fantastic potential for restoration that is unparalleled in the roofing industry. Other roofing systems degrade or become brittle with exposure to the sun. 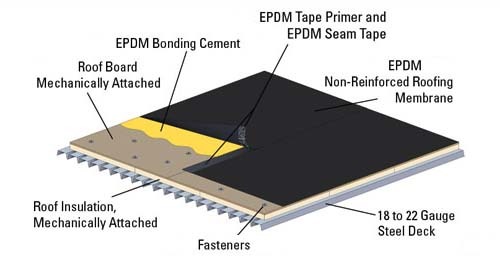 The EPDM roof membrane holds on to its flexibility and integrity. Because EPDM roofs consist of few seams, you won’t experience much leaking, either. This means that a good quality roof can last for around 20 years. Apparently, the biggest drawback of this type of roof is because it is made of black rubber, it can absorb heat. It can also be punctured by sharp falling objects like branches, poles, etc. Get in touch with expert roof installers where certifications will be needed to get advice on the use of EPDM rubber roofs. Because it’s a virtually hassle-free product, EPDM roofing was designed to outlast and outwit.